In a bid to make their driver-partners’ lives better, Grab has announced additional features to its ‘Better 365‘ campaign in Singapore. First introduced last December, the second phase of ‘Better 365’ sees several new Grab Singapore driver benefits. Grab will be awarding ten S$10,000 Grab University Scholarships for local universities and up to 500 S$350 Education Bursaries each year. These will be opened to both GrabTaxi and GrabCar driver-partners who have immediate family members with excellent academic results and outstanding co-curricular activities. Application deadlines for this cycle of scholarships and bursaries are 30 April and 14 May respectively. GrabAcademy is only available to driver-partners who have been driving with Grab for 12 months and longer, with an average of 60 trips per week. GrabCar driver-partners will get to save up to 25.2% on fuel with the Shell Value Drive Card, and GrabTaxi driver-partners can save up to 24% on fuel at Caltex with the Grab Cabbie Card. In line with the Tripartite Workgroup’s latest recommendations on loss of income insurance solutions for self-employed persons, Grab is introducing Grab Partner Guard, a personal accident plan underwritten by Chubb Insurance Singapore Limited (Chubb). The plan will also offer GrabCar and GrabTaxi driver-partners up to S$300 daily income in the event of hospitalisation as a result of an accident. Grab Partner Guard is an optional insurance on top of the existing complimentary personal accident insurance, and driver-partners are protected in the event of accidents even when they are not on Grab jobs. 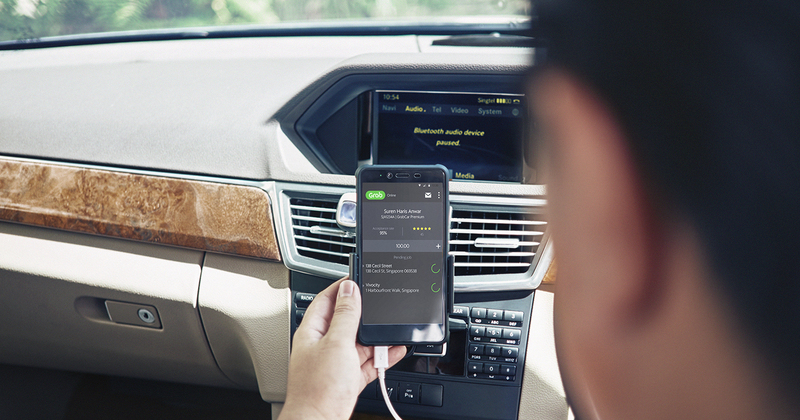 Driver-partners can enjoy full local and overseas coverage from as low as S$12/month. GrabCar driver-partners can also redeem a free meal and/or a gift of up to $50 during their birthday month. GrabCar and GrabTaxi driver-partners who have accounts with major banks in Singapore can instantly transfer fares collected via GrabPay into their bank accounts and withdraw their earnings at any of the bank’s ATMs. Before this, there was a standard processing time of at least one working day. Grab has started a beta trial for the new feature, which allows driver-partners to cancel their ride without affecting their cancellation rate if the passenger does not turn up after five minutes upon the driver’s arrival. For GrabShare bookings, driver-partners can cancel the ride after 3 minutes. Driver-partners have to option to automatically accept all jobs that are assigned to them when they turn on this feature, so that they can concentrate on the road without worrying about missing jobs. Since the inception of GrabCar advertisements in March 2017, driver-partners who participated in the programme have earned more than S$300,000 collectively. This programme includes the use of on-car wrap, in-car hangers, and/or digital display advertisements. Grab will be “expanding its advertising platform significantly” so that more driver-partners can earn more passive income from this advertisement programme. With the ride-sharing war going strong in Singapore and other Southeast Asia countries affected by the acquisition, it’s no surprise that Grab has taken this time to announce these new incentives to convert more drivers to the green side.